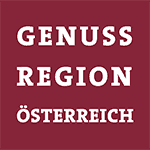 The easiest way to bring the tastes of Styria to your home starts right here. 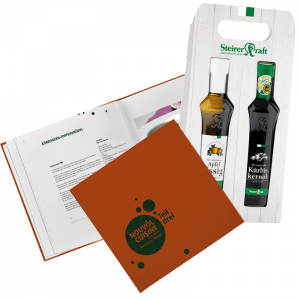 Browse our online shop, which makes ordering the fantastic Steirerkraft products super-easy, select your favourites, order them and look forward to receiving your delivery full with the honest tastes of Styria soon. You are looking for small tasteful presents of great value? 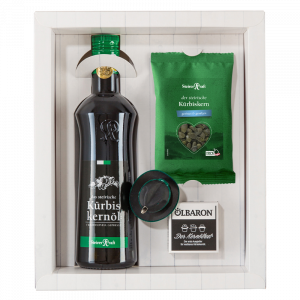 Here you can find delicious gift boxes for various occasions. 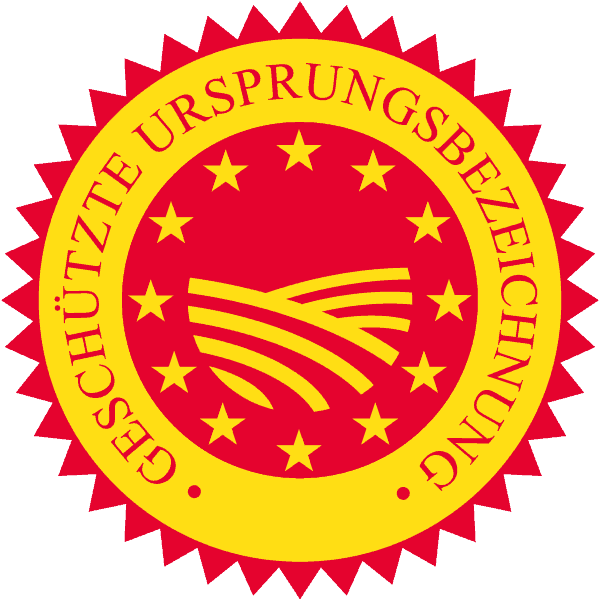 We use all our knowledge and experience to turn high quality pumpkin kernels into our Styrian pumpkin seed oil PGI. 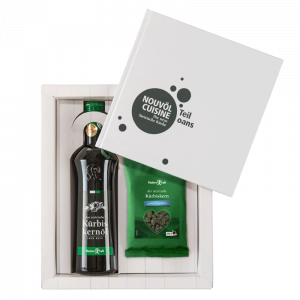 Nutty, mild, dark green and thick - that's our oil. Crispy and tasty - that is what our Styrian pumpkin seeds are like. Whether you prefer to nibble them pure or enriched with sophisticated extras is totally up to. An apple a day ... Our Steirerkraft apple chips are small healthy nibbles. And those who have a sweet tooth will love our apple chips with chocolate icing. What a bean! 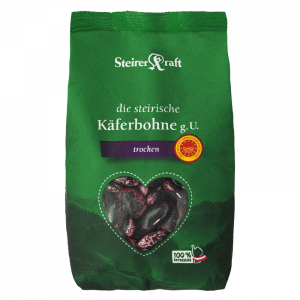 The Styrian scarlet runner bean PDO is the perfect ingredient for traditional Styrian snacks and provides us with loads of energy - or Steirerkraft, as we would put it. Our fruity Steirerkraft vinegars leave a sour taste in your mouth - but in this case you will love it! And they even better in combination with pumpkin seed oil. 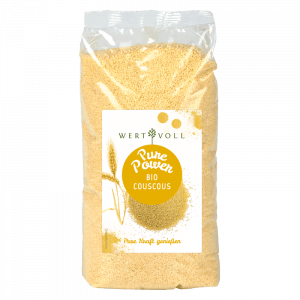 With our chrome yellow polenta made of the best Styrian maize you can make sure that your diet is both varied and healthy. 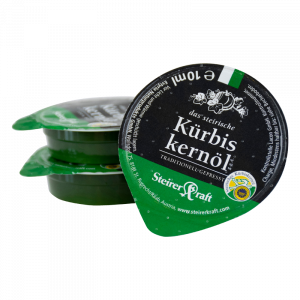 Have you ever tried the traditional Styrian "Sterz"? Spoil yourself with our delicate delicacies - and discover the range of fantastic products made by our regional partners. This is what the versatile products of this brand really are: precious and exclusive. 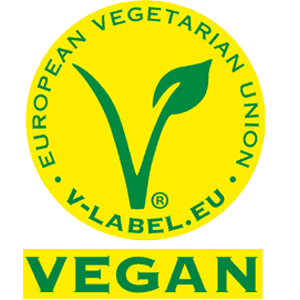 All of them are organic and meet the highest standards in terms of quality. 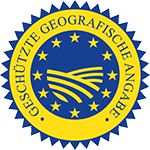 The brand Mutter Natur stands for highest organic quality. Handpicked edible mushrooms and legumes are processed with care in Paldau. Too many cooks spoil the broth - in case they do not have a good cookery book. Discover our collection of fantastic recipes and let's go!